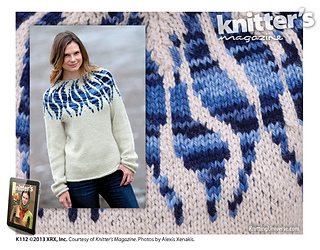 Waves of color dance around the neckline and yoke thanks to brilliant colorwork and strategically placed decreases. This bulky sweater is soft, cozy, and warm — perfect for the upcoming season. Pattern found on page 68. More information available at Knitting Universe.